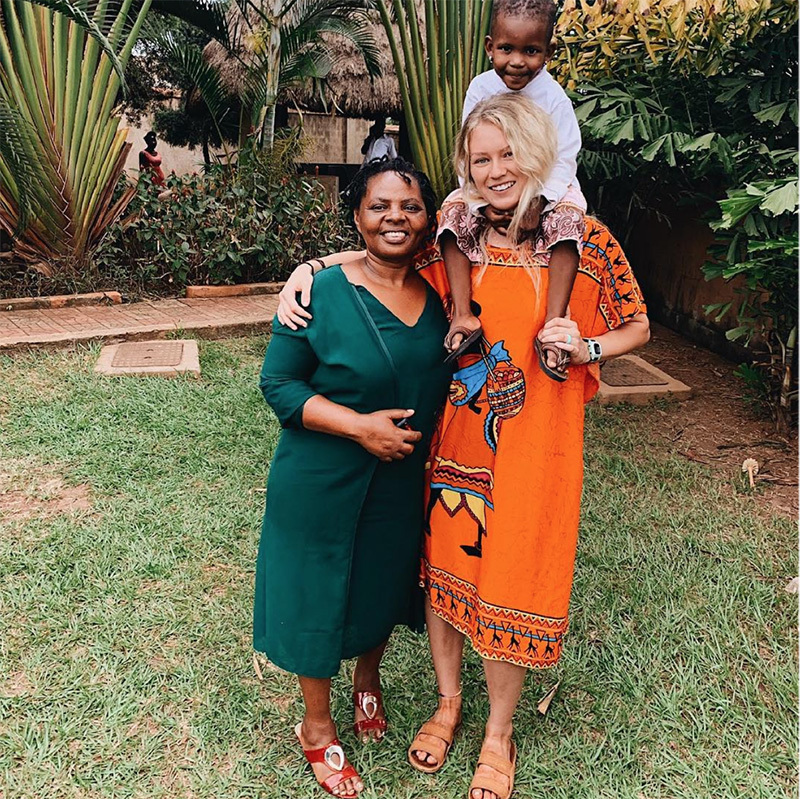 Spending time in Uganda means a lot of things: weekends on safari so you can spot giraffes and elephants, high adventure experiences like river rafting the Nile river, splashing in Sipi Falls, and doing your part to give back to the community are just a couple of things we love about this country. But one thing any ILP volunteer can’t miss out on in shopping in the maze-like markets in Kampala. Interested in exploring and adventuring in Africa? 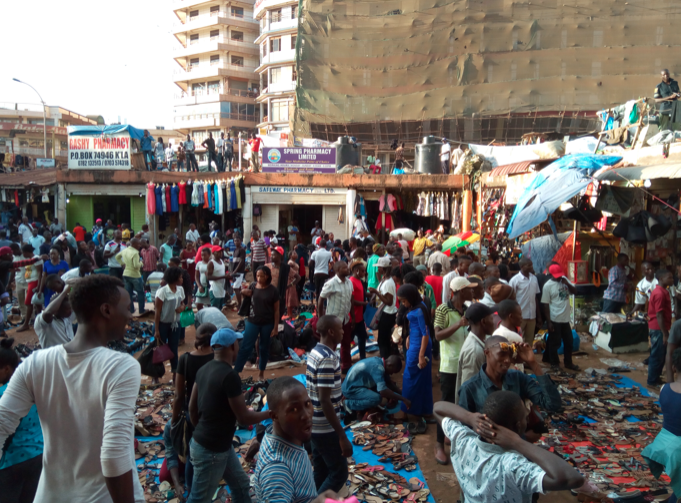 While you’ll find modern skyscrapers and shopping centers in Kampala, you can also find delightfully chaotic markets selling everything from bins of freshly ground spices to stacks and stacks of clothing. With so much to experience you’ll need a bit of a guide when it comes to Kampala’s markets. Some say you can buy anything at Owino Market. 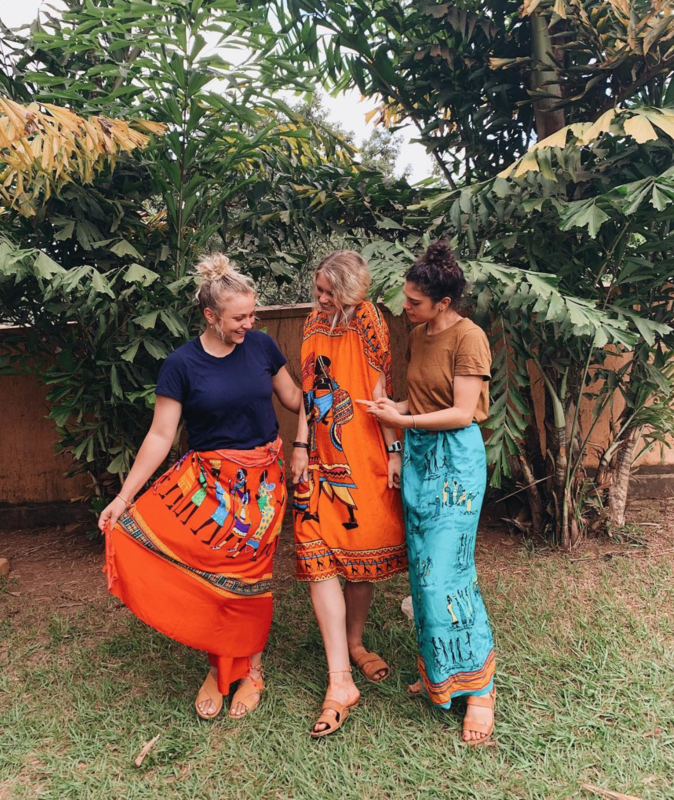 It’s the biggest open-air market in Uganda and while it’s primarily known for reselling clothing, you can find more than that; like shoes, bags, traditional medicines, bicycles, spices, fresh and dried fish, backpacks, etc. Most of the clothing you see is from the United States and sometimes Europe so keep on the lookout for your favorite brands. The market initially was called St. Balikudembe and started with around 300 vendors in 1971, but we relocate to its current location and now houses some 50,000 vendors in the market (!). Find everything from skirts, dresses, jeans, shoes, socks, tops, swimming suits, running shorts, sports bras, etc in the clothing section. You really can find anything here if you’re willing to dig for it. The market itself is a dizzying maze with items grouped together: wander around long enough and you’ll find sections of shoes, sections of bags, sections of swimming suits, etc. You will most likely get lost wandering around (it’s a chaotic network of alleys, crammed full of people and goods to buy), so factor that into your visit. Where Is It? Without a concrete address, you can find a few entrances to the market all around. Head to the Nakivubo Stadium, or look for an entrance along Kafumbe Mukasa Road. Hours: Open as early as 6:00 AM and into the night, though it’s best to visit in the daytime so you can see the things you are buying. There's no return policy on anything you buy here so make sure you're totally satisfied before purchasing. As a general rule, if someone asks 40,000 schillings for an item, respond with a fourth of the price (so, 10,000) and go from there. If the prices doesn’t go down, walk away. More times than not, you’ll be called back for a lower price. Like other bargaining markets (China, we’re looking at you!) it’s best to pay with exact change so you won’t need to worry about getting the wrong amount back, or bargaining down the price only to pay with a huge bill. It’s common for vendors to grab your hand as you’re walking by. It’s just another way to get your attention but can be a bit surprising if you’re not expecting it. Like any crowded market or city square, you’ll want to keep your belongings close and just be aware of your surroundings. The market gets crazy busy especially on weekends and around holidays, so while you’re sifting through the piles, you’ll probably be bumped and jostled — it’s all part of the experience! All of your meals will be covered as an ILP volunteer (it’s part of your volunteer program fee) but it’s still fun to see what local grocery stores and markets are all about. 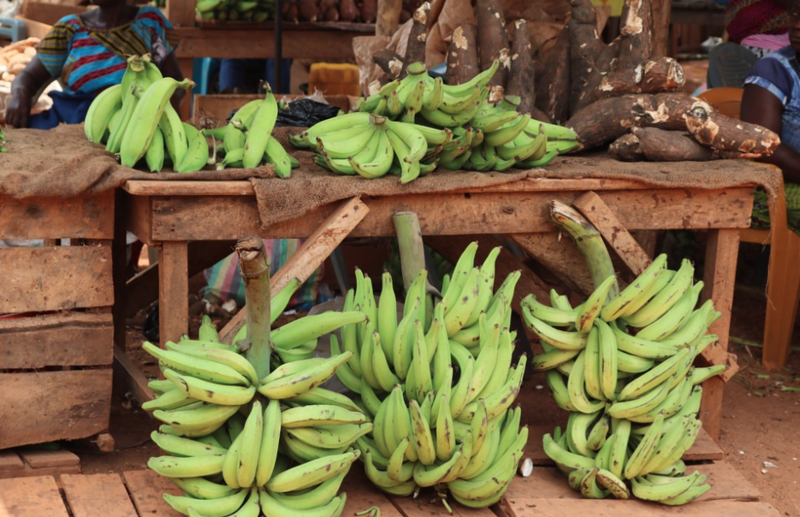 Nakasero market is known for food: come for piles of avocados, fried grasshoppers, bunches of green plantains and bananas, bins of peanuts, stacks of fresh fish, bins of beans, rows of eggs, and more. You’ll also find goats and chickens and some other animals for sale. Along with all the fresh veggies, fruits and other food supplies, you can find a mishmash of electronics, some textiles and clothes, and shoes, too. To help you get around, know that the market is broken up into two distinctive sections: an indoor/covered portion and an outdoor portion. You’ll find most of the produce and groceries in the open area and most of the tourist items and clothes in the portion that’s covered. Where Is It? Any taxi driver should get to you the market if you ask, but you can also head towards Dastur Street and Market Street (Market Square Rd, Kampala, Uganda is the official address). It’s actually just east of Owino Market if that’s helpful. Hours: Generally open from 8:30 AM to 6:30 PM. We love this place for souvenirs! Behind the iconic National Theater (search “National Theater Events” to see upcoming concerts or movie screenings) you’ll several shops that are all locally owned, and usually run by the artists themselves. Naturally died fabrics, hand carved wooden boxes and figures, inlaid spoons, pottery, drums, beaded jewelry, paintings, woven mats, and more is just a small taste of what you’ll find at the craft village. Below, we have a couple pictures of the clothes you can get here: plan on paying 25,000 -35,000 schillings and wraps for 20,000 schillings. This craft market is next to Daisy’s Arcade and one of the more well-known craft markets. Wander between 30 stalls and find wood carvings, leather goods, local dresses and shirts, paints and sculptures, and larger items liked carved tables and chairs. You’re welcomed to bargain here. 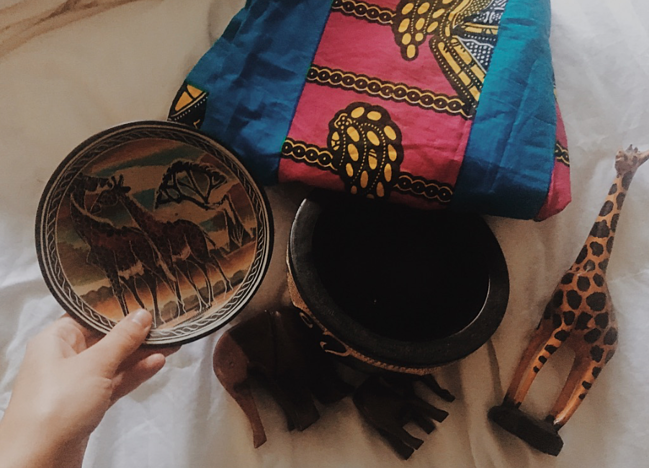 If you’re looking to shop local, chat with the vendors about where the art or craft was produced, as you’ll find goods from all over Africa. Unless you’re in an established store and there is a sticker price on the item, nothing really has a strict, set price. You’re expected to bargain down the cost, going back and forth with the seller until you both find a price you can agree on. 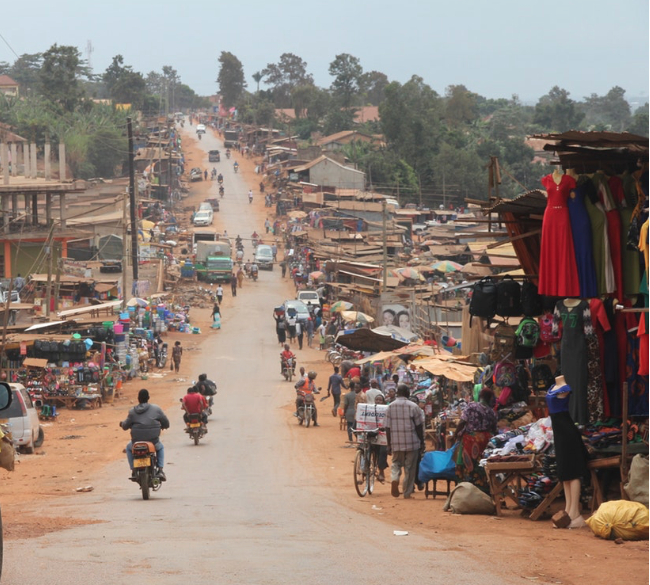 While it is always fun to play the bargaining game, keep in mind that most people in Uganda are living below the poverty line. Giving an extra dollar or so where you can can make an enormous difference to the vendors you’re buying from. Ready for your African adventure? We thought so! ILP (International Language Programs) sends college-aged volunteers to teach English to a few schools just outside of Kampala, Uganda in a place called Lugala. 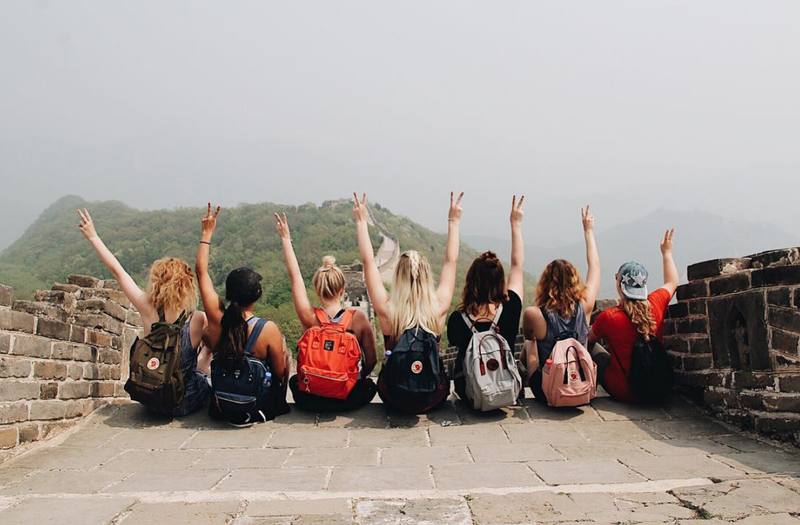 You’ll be living and volunteering with a group and will have weekends off plus vacations to explore Kampala or go on safari.